"The emergence of Islamic finance as a major force in the world financial system has focused attention on regulatory issues. This book, edited by Professor Archer and Professor Karim, two of the most respected figures in the field, is an important point of reference for those who have to deal with these issues, whether in regulatory authorities or in the financial institutions themselves." "The world′s financial regulators have taken too long to appreciate the importance of adapting their regulatory frameworks to the needs of the fast–growing Islamic finance sector. Simon Archer and Rifaat Karim, the leaders in the field, have put together a fascinating collection of essays that show just what has to be done. It is a very timely book indeed." 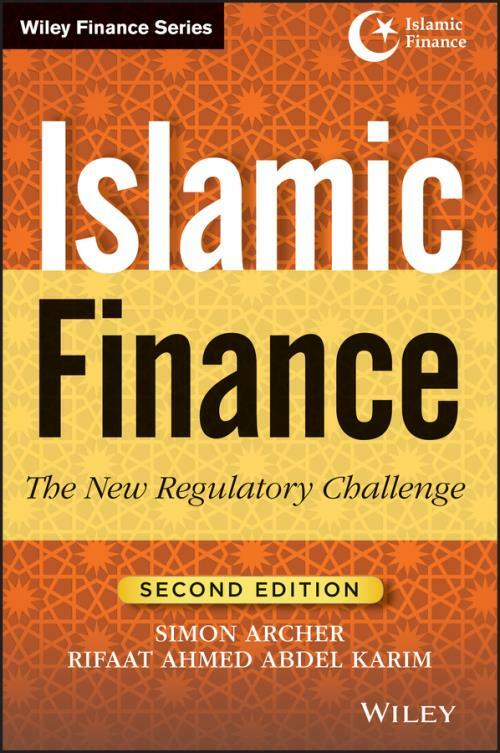 "The first edition of Islamic Finance: The Regulatory Challenge by Professors Simon Archer and Rifaat Ahmed Abdel Karim was an important addition to the literature on the regulation of Islamic finance. This Second Edition addresses the implications of the recent global financial crisis on the regulation of Islamic financial services. The book deals with the relevant regulatory issues in a timely manner and will be much welcomed by both practitioners and academics." SIMON ARCHER is a Visiting Professor at the ICMA Centre, Henley Business School, University of Reading, UK, with responsibility for Islamic finance. He served as Professor of Financial Management at the University of Surrey and worked as Midland Bank Professor of Financial Sector Accounting at University of Wales, Bangor. Professor Archer studied Philosophy, Politics and Economics at Oxford University, and worked as a Chartered Accountant with Arthur Andersen in London before moving to Price Waterhouse, Paris, where he became a partner in charge of management consultancy services. He has consulted to the Accounting and Auditing Organisation for Islamic Financial Institutions (AAOIFI) and the Islamic Financial Services Board (IFSB). He has authored many books and academic papers on international accounting and issues in Islamic finance. RIFAAT AHMED ABDEL KARIM has been the Chief Executive Officer of the International Islamic Liquidity Management since October 2012. He has been Visiting Professor, ICMA Centre, Henley Business School, University of Reading, UK, since 2008. He has played a pioneering role in the development of Islamic finance, while his leadership in drafting accounting, auditing, governance, Shari′ah, and regulatory standards has been instrumental in establishing the position of the Islamic financial services industry in the mainstream of global banking. He was secretary–general of the Islamic Financial Services Board (ISFB) and secretary–general of the Accounting and Auditing Organisation for Islamic Financial Institutions (AAOIFI). In addition to international recognition of his academic publications, which are mainly in tier–one international journals, in the field of Islamic finance, Professor Karim has garnered numerous accolades for his pioneering work, including the first Euromoney Outstanding Contribution to the Development of Islamic Finance Award.